You are currently browsing the tag archive for the ‘The Spanish Civil War’ tag. In fact, there are many uses of the innumberable opportunities a modern life supplies for regarding – at a distance, through the medium of photography – other people’s pain. Photographs of an atrocity may give rise to opposing responses. A call for peace. A call for revenge. Or simply the bemused awareness, continually restocked by photographic information, that terrible things happen. Folks I am beat. Today has been a long day. I volunteer with an organisation based in Sydney known as the Centre for Volunteering. Today the third annual New South Wales Volunteer of the Year Award was held at Parliament House, to celebrate and acknowledge the good works of people within the state who give of their time to help others, often with little recognition. It was a wonderful morning. Standing in a packed out theatre of volunteers, all of whom evidencing incredible reserves of goodwill and determination, I really felt as if I was fortunate to have played some small part in helping the event go off without a hitch. So I am quite tired at the moment and am about to prepare dinner for my lovely wife, so this is going to be a short and sweet review. Nevertheless, I mention the above for a reason, which is that oftentimes watching the news, reading the papers (or browsing my personal source of Orwellian ‘Two Minute Hate’, http://www.bocktherobber.com), I can’t help but feel we have become sunk in a mire of corruption, misery, greed and, quite frankly, evil. Is this the result of civilization, a growing sense of impotence at the suffering of others in the world? Or worse again, a voyeuristic impulse to observe and not interfere with the tragic events unfolding on our television screens? 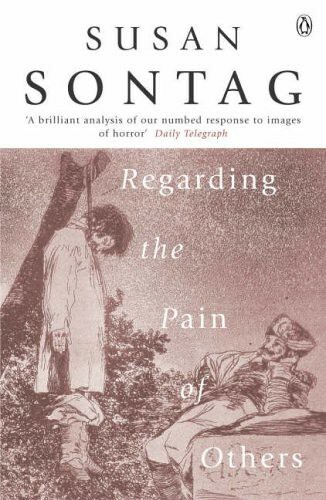 In this discursive examination of the role played by photography in our awareness of atrocities both home and abroad, relating to war and/or violence, Susan Sontag questions to what degree our appreciation of these images is founded on an abiding voyeurism. At one point she quotes from Plato’s Republic, where Leontius, son of Aglaion, is reported to have approached the bodies of just executed criminals, despite his strong feelings of disgust. He runs up to the corpses and cries “There you are, curse you, feast yourselves on that lovely sight“. How does that anecdote, apart from its classical origins, distinguish itself from a contemporary teenager browsing ‘SomethingAwfulDotCom’ (I’m not going to link to that site here)? Sontag’s breadth of reference in this book is incredible. She concentrates for the most part on war photography and its origins, covering the period from the Crimean War up to Franco’s atrocities in the Spanish Civil War; from Vietnam to the Serb-Croat war in Bosnia. She investigates the history of staged war photographs, such as the raising of the flag on Iwo Jima. Contrasting with such images of soldiers in war, meant to inspire hope for success in the conflict, or an image snatched from a moment of pure horror that is seared on to the mind of anyone who has seen it – Huynh Cong Ut’s photograph of Vietnamese children running from an American napalm attack, with their skin on fire – we have a delightful description of a photograph taken in London during the Blitz of three men inspecting a wall of books that has survived the bombing. I was inspired to track this image down, as for me it carries great metaphorical weight relating to the value of literature and present it to you below. Sontag questions the argument that war photography has innured in us a sense of banality in response to images of death, by revealing that as far back as 1800 (!) similar concerns were being raised about news reporting. This was before photographs came on to the scene. It is as if exposure to the awareness of the evil that men do is thought of as being threatening to the moral character of the viewer. Hence the level of censorship in current war reporting and the phenomenon of ’embedded journalists’. There may be a visceral response on the part of the viewer to an image that would be considered horrific, but in no way does that justify the blanket censorship of such imagery. It is only through confronting these images that we can defeat that much maligned apathy towards the suffering of others. Incisive, wide-ranging and brilliant in its argumentation. Fantastic book. “Why did you leave Ireland”? There is a moment towards the end of this book when the protagonist Katherine Procter walks down Grafton Street in Dublin late at night, crosses the Ha’Penny Bridge over the River Liffey, continues on towards Blackhall Place and finally reaches her destination of Carnew Street. I smirked to myself when I read this and remarked to Stephanie that you could tell this book was not set in the present day. Eight months ago I was mugged at knife-point in Dublin. Every day after that I was scared to go out on to the streets at night. I desperately wanted to leave the city. The date of our departure for Australia seemed an eternity away. 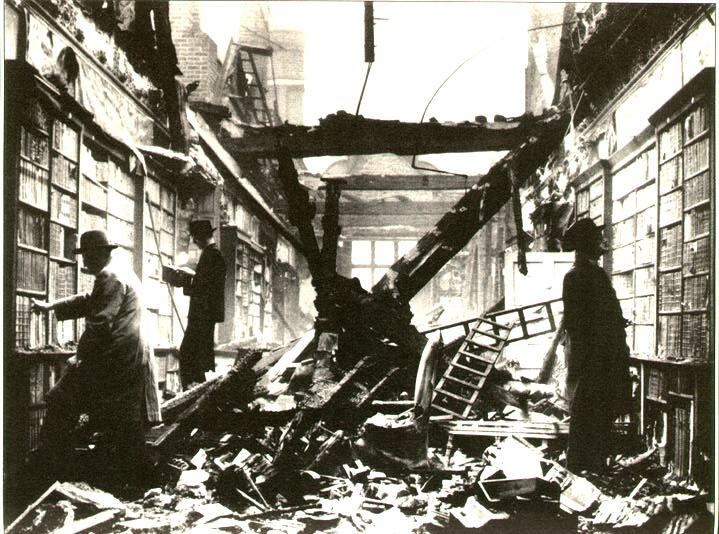 When I think of Dublin now, that is what I remember, an unending, oppressive sense of fear. In a very real sense, I saw my travelling to Australia as escape. Katherine is also looking to escape. Born and raised in Wexford, she has left her husband and child and fled to Spain. When she thinks of Ireland she remembers the dead relationship between Tom the man she married and her herself; her estranged son, who takes after his father in every respect; and finally she remembers the local people in the area who hated her family for being Anglo-Irish Protestants, who burned down her house when she was only a child. Her own mother left Ireland afterwards, terrified of the Irish and refusing to return from London. Now Katherine has followed in her foot-steps. Barcelona is a world away from Enniscorthy. Katherine discovers an enclave of bohemian artists and begins to receive training in becoming a painter herself. She meets Miguel, an enigmatic man who uses art to frame the political upheaval in Spain following the Civil War and falls in love with him. Her mother sends her enough money to support herself and together with her new lover, she begins to reinvent herself, leaving her past as a member of the Irish landowner class behind. The arrival of Irishman and Enniscorthy native Michael Graves in Barcelona puts Katherine on edge. Not only is he an insistent reminder of the life she ran away from, as a Roman Catholic he symbolises to her the same mob that attacked her home causing the breakup of her family when she was a child during ‘The Troubles’ in the South of Ireland. Furthermore he attaches himself to Katherine and Miguel from the moment they first meet him. She wakes up the first morning after encountering the Irishman to find him asleep beside her lover. It appears that not only is her past not finished with her, but Miguel’s own history has caught up with the couple. He refuses to hide his anti-Francoist fervour, risking imprisonment. His status as a former revolutionary and a Catalan makes him a target for police intimidation. Katherine cannot understand why he insists on reliving his hatred for the Spanish fascist regime, why he cannot simply plan a future for them together. She slowly comes to recognize that Miguel’s wartime activities are not so different from the actions of the landless Catholics who attacked her family thirty years ago. This is a beautifully written first novel by Colm Tóibín. The parallels drawn between the Irish and Spanish Civil Wars are cannily illustrated, with Katherine’s blinkered inability to recognize the hatreds of her own upbringing causing her to view the historical wounds of Spain as exotic curiosities. Tóibín’s writing is reminiscent of John Banville’s European Irish fiction, with protagonists finding inescapable echoes of Ireland on the Continent. I strongly identified with Katherine as my own relationship with my homeland has become twisted by fear, despite knowing how irrational that feeling is. Funnily enough I continue to meet Michael Graves all over Sydney, the Irish accent reappearing at the oddest times. This is the life of an emigrant, I suppose, finding reminders of home wherever I go. More importantly though I am no longer afraid of returning home. Australia, and in part writing for this blog, allowed me the opportunity to heal. This book is beautifully observed, thematically insightful and ferries its haunted protagonists to a welcome peace of sorts.